Hail, hail Klopstokia! 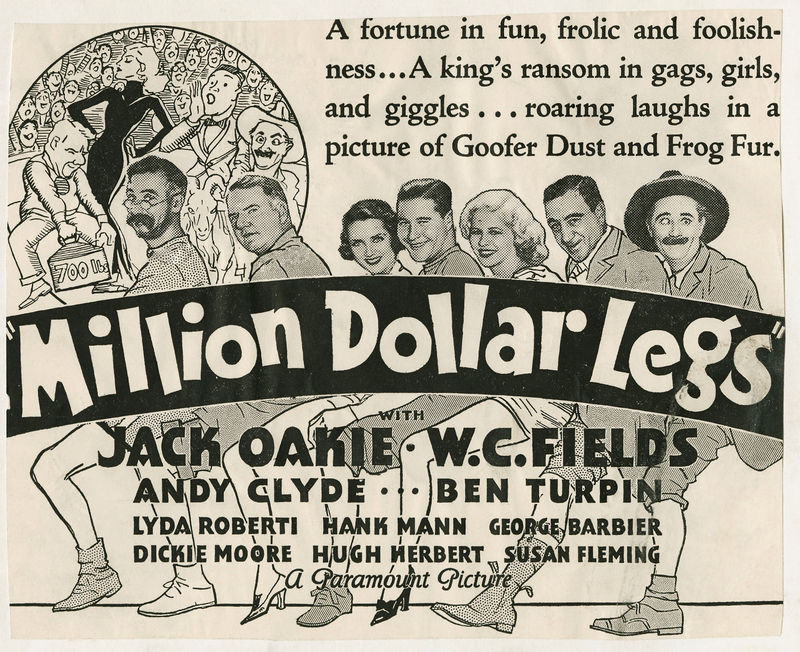 MILLION DOLLAR LEGS is total movie anarchy, a throwback to the halcyon days of Mack Sennett. 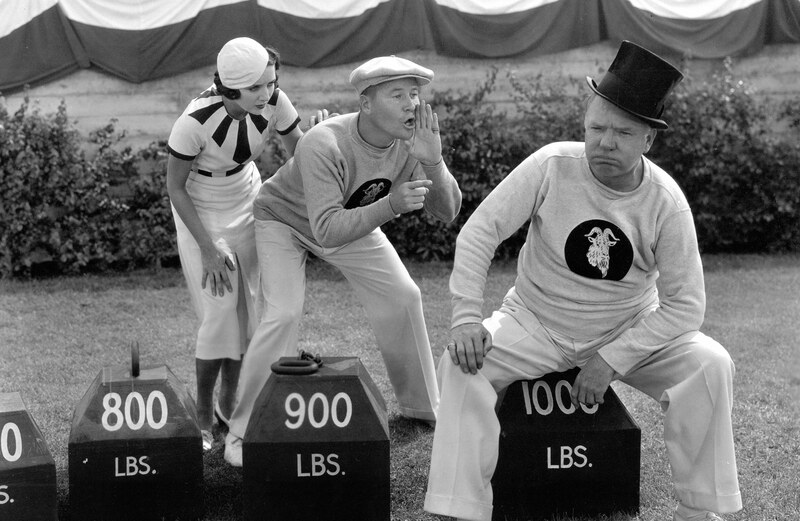 It’s a comedy cornucopia filled with sight gags and verbal nonsense, led by legendary W.C. Fields as president of the mythical country of Klopstokia, about to default on its loans until itinerant brush salesman Jack Oakie comes up with a plan to enter the hale and hearty Klopstokians in the 1932 Olympics and win the huge cash prize being put up by his employer! Secretary Herbert and his traitorous cabinet (including Keystone veterans Irving Bacon, Vernon Dent, and Billy Gilbert , who performs his comical sneeze routine) plot to put Klopstokia’s athletic team out of commission by hiring super-spy Mata Machree, “A Woman No Man Can Resist”! 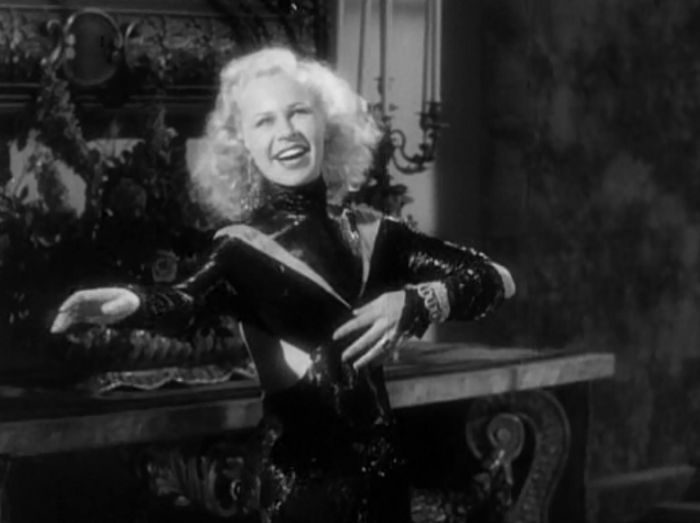 She’s played by luscious Lyda Roberti, parodying Garbo (who starred in 1931’s MATA HARI) and sings the risqué “When I Get Hot in Klopstokia”. You haven’t lived until you’ve seen lithe Lyda slink and wiggle her way to a man’s… err, heart. Fields is a riot, as always, whether having troubles with his top hat, juggling clubs to stay in shape, or performing as a one-man band. Cross-eyed silent comedian Ben Turpin keeps popping up (for no reason!) 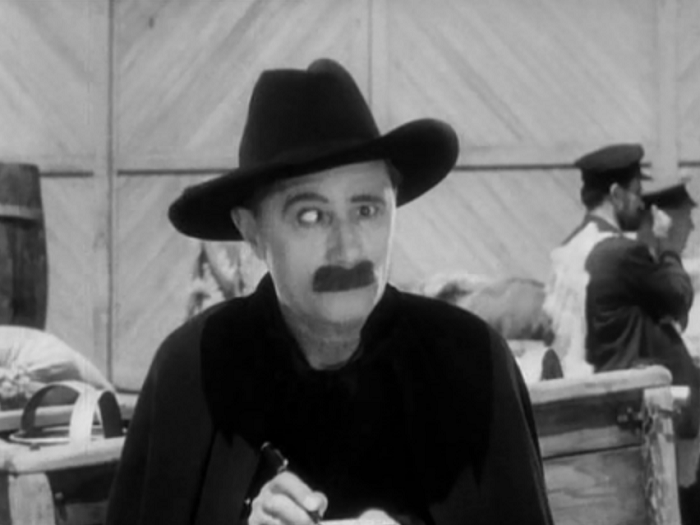 as a cloak-and-dagger spy, Andy Clyde as Fields’ Major-Domo could give The Flash a run for his money, and little Dickie Moore steals whatever scenes he’s in as Angela’s brother Willie – apparently the only male in Klopstokia not named George!! 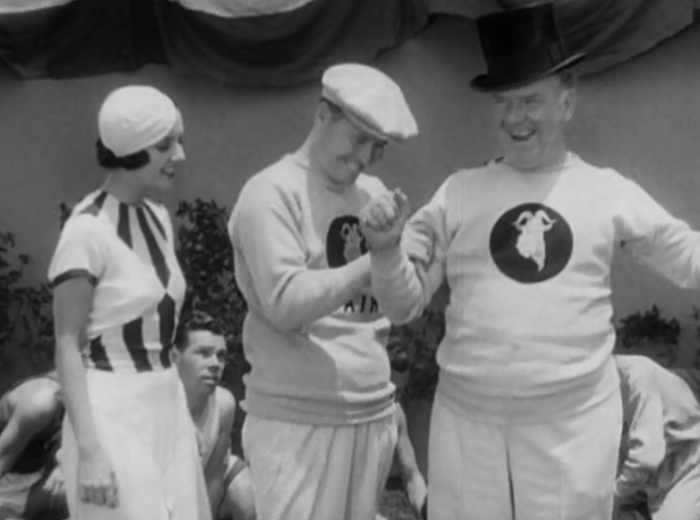 All this absurdity is expertly handled by director Edward F. “Eddie” Cline, who went back to Mack Sennett’s Keystone Kops, and worked with nearly every great comic in history, from Chaplin and Keaton, to Wheeler & Woolsey and Olsen & Johnson, to the Ritz Brothers and the Andrews Sisters! MILLION DOLLAR LEGS is sheer nonsense, and I mean that in the best way possible. 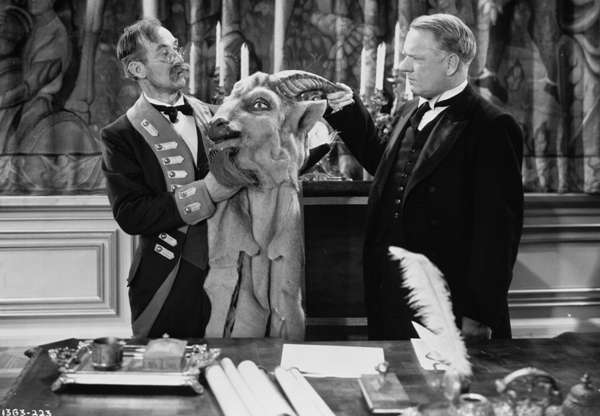 Predating the Marx Brothers’ DUCK SOUP by a year, the film shares its anarchic spirit, and the two together would make a great double feature when you need to just cut loose and laugh. And we all need that in this day and age! !